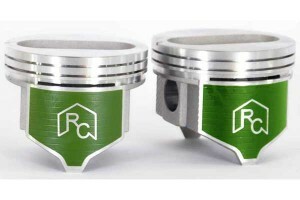 It seems that there is news everyday that one of the big piston manufacturers is yet again discontinuing a piston for one of your customer’s favorite collectors cars. Rebuilder’s Choice by Packard Industries is now your first source for top quality pistons for an array of vintage engines. Our pistons are precision machined within .001” of each other and weight balanced within 2 grams. An additional feature that we have added to many of our popular pistons is an anti-scuffing coating to ensure years of reliable service for your customers. Here are just some of our newly released pistons. Pontiac (Coated) 1963-66 421V8 10.75 C.R.